It’s always nice to go on vacation but the best part is arriving home so you can sleep in your own bed! A different bed for 28 nights – didn’t have a bad one though!!! Oh maybe the reclining chair on the ferry!!! Lol!! We had quite the journey! It was an amazing trip! We covered 5 provinces in 28 days. We could’ve used another 28 days and still not seen everything! What a way to celebrate Canada 150 – touring our beautiful country by motorcycle. We have now been in every province/territory except for Nunavut. Each province/territory has their unique beauty! I’m proud to be a Canadian! We have the friendliest people and the most beautiful scenery! We felt welcomed everywhere we went. 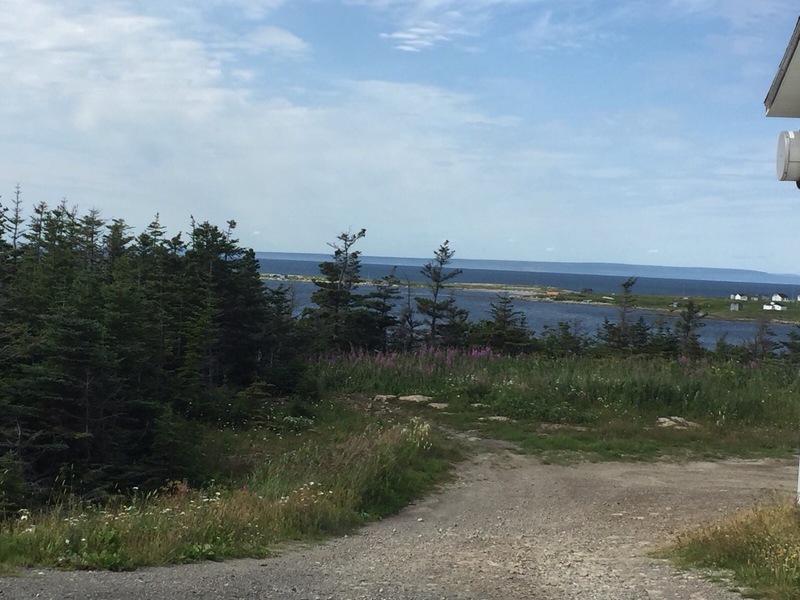 I can’t even pick my favourite place – they are all my favourites – Parliament buildings, Rideau Canal in Ottawa – St Lawrence Seaway – Gaspe Peninsula – fantastic riding roads and awesome views – St John’s NL – the harbour, Signal Hill, Cape Spear, the whales, the puffins, and of course O’Reillys!! Gander – the abandoned townsite from WW11. 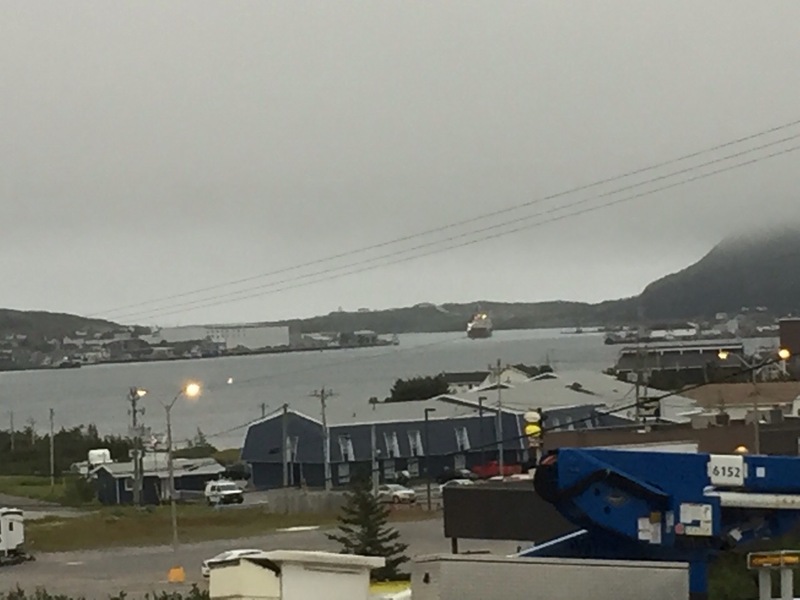 Twillingate – the rugged coast. 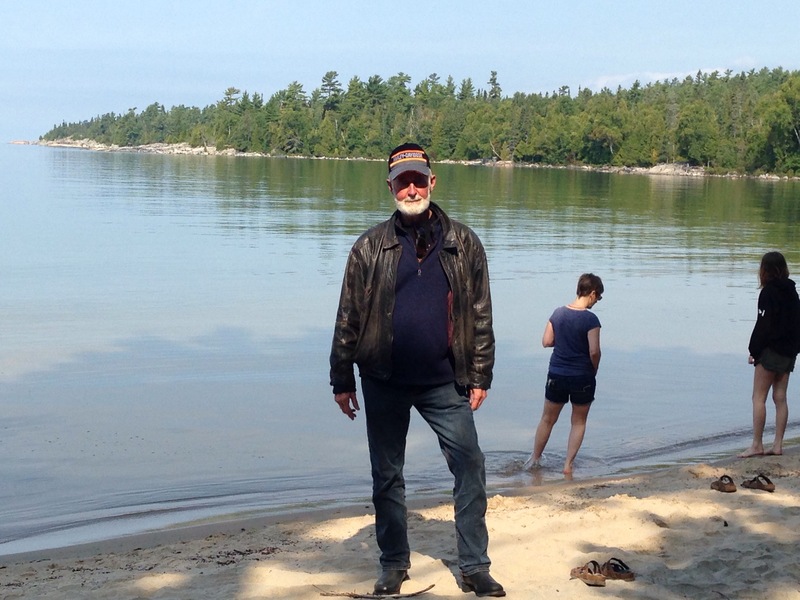 Deer Lake – beautiful lake and the best b&b!!! 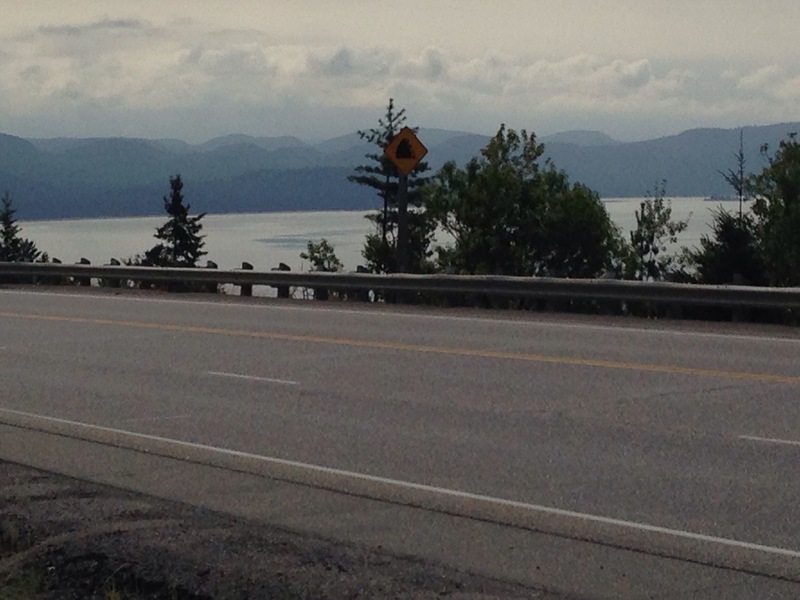 The gorgeous ride through Gros Morne National Park. 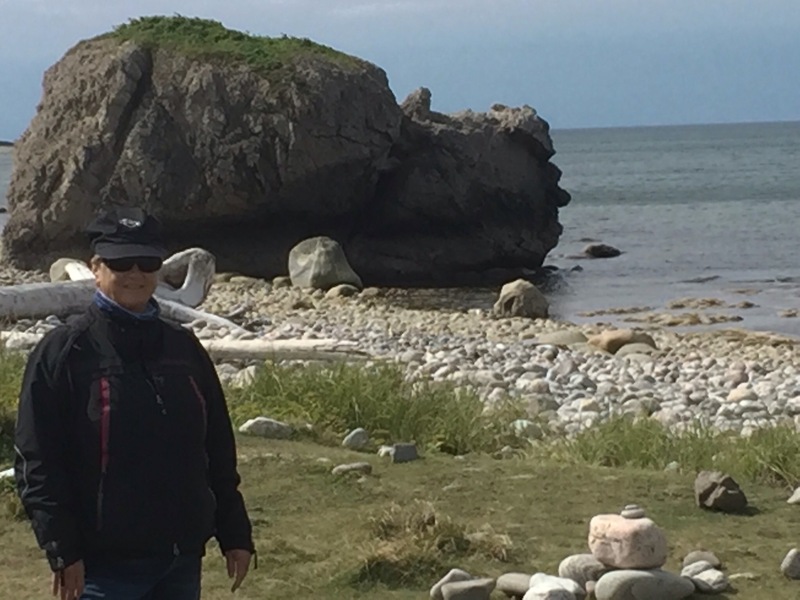 St Anthony’s – the Viking ruins at L’anse aux Meadows. 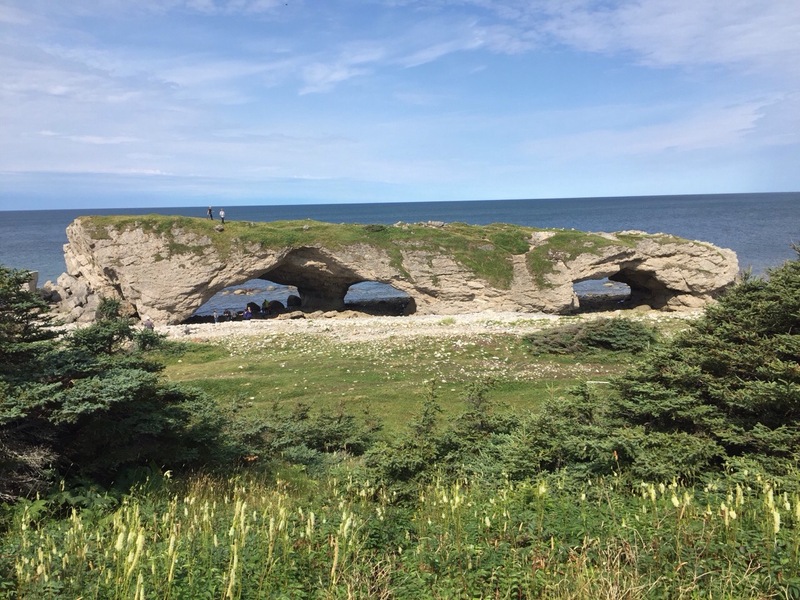 Ride to Port aux Basques – beautiful! 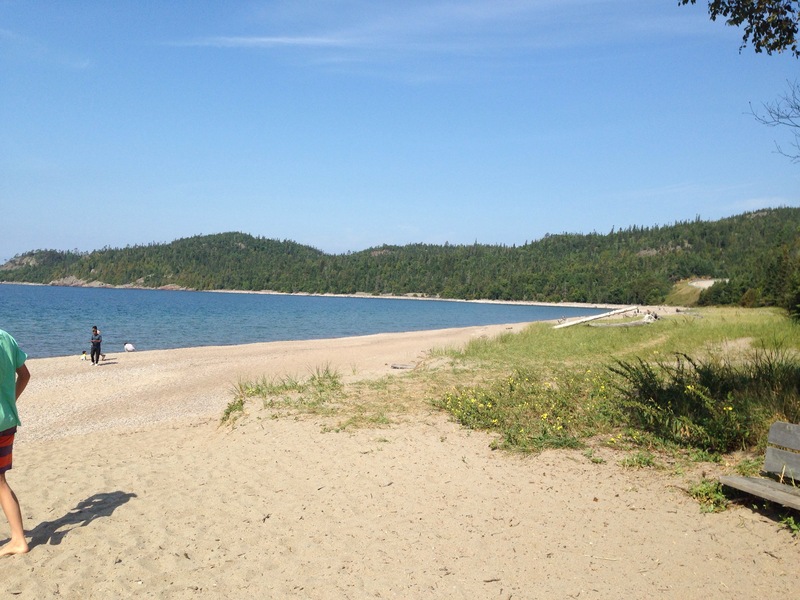 Cape Breton Island – sad we didn’t do Cabot Trail but the ride was spectacular anyway!! Halifax – beautiful harbour. 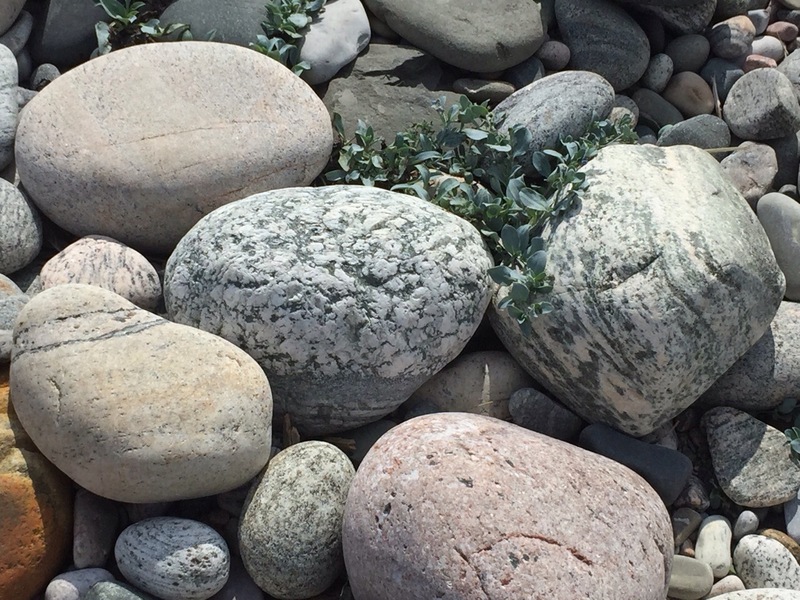 Peggy’s cove – the Atlantic Ocean – Lunenburg – Meteghan River for the best meal on our whole trip – coastal highways to Digby were breathtaking – the beaches – the grandeur of the churches. Old Quebec. So much history and beauty!!! 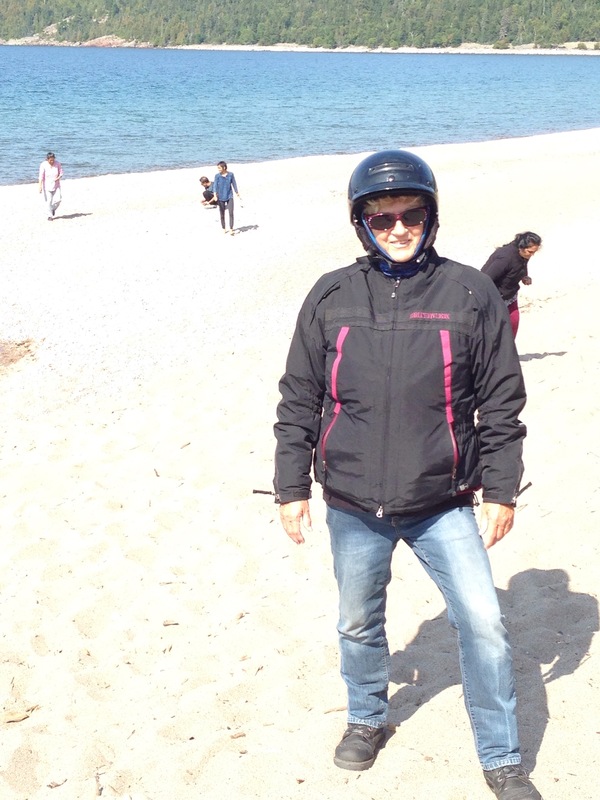 And the ride around Lake Superior – beautiful!! 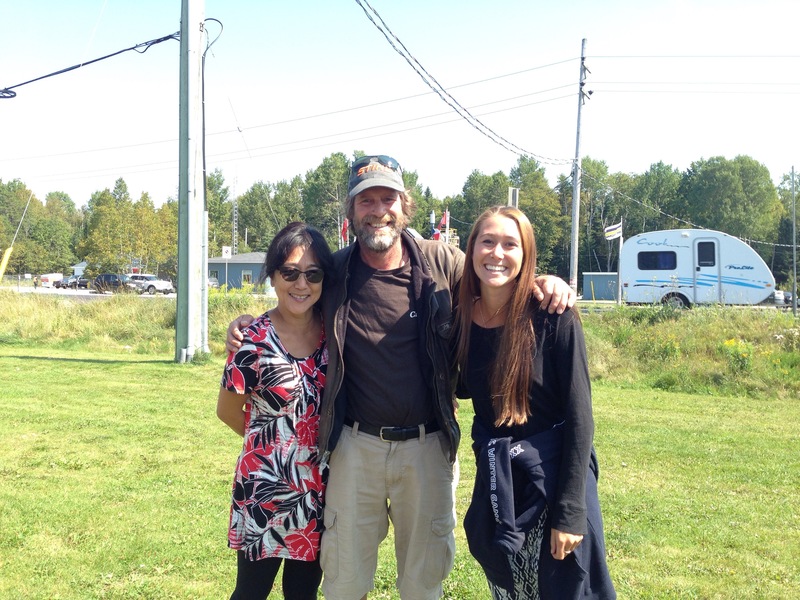 We met up with our neighbour Onalee and her parents Nelson and Lisa in Wawa. They were heading to Haliburton and we were heading home. So happy we connected! We knew we were home when we saw the Terry Fox monument and of course the Sleeping Giant!! Love Thunder Bay!! Thanks to all our family and friends for keeping us in your prayers and a huge thank you to my wonderful husband for keeping us safe on our incredible journey!!! We travelled 6866 miles/10985.6 km. I hope you have enjoyed following us on our journey! Bev and Mac until the next time!!! The sun is shining again!!!! Few glimpses of the muskokas!! Too hard to stop and grab a pic!! So much rock heading into Sudbury!! We stopped in Sudbury at the Harley shop. Mac got another hat and tshirt and I got a shirt and a hoodie!!! We stopped at Nairn Centre for lunch. Soup and sandwich! Sometimes that is so hard to find!! Lol!! Arrived in Sault Ste Marie around 6. Checked into the Quattro Inn. What an elegant hotel!! Great price!! Excellent dinner!! Mac had filet mignon and I had portabella mushroom ravioli. Deep fried butter tart for dessert!! I am so full!!! A long day! Tomorrow will be our longest ride of the whole trip!!! Another sunny beautiful day for riding! We travelled on highway 7 – my type of road – country – then 407 to the 400. Mac told me to take the printout of directions from his pocket while we are flying down the road. I thought to myself if I lose this paper we are screwed!! We are on the back roads! I got that paper and hung onto it so tight! Then I had to relay the way to Mac!! We did it! We found our way to the 407 – the toll road that starts at Oshawa!! I am a great navigator!!! I really don’t like the fast speed on the bike on these major highways! Take me back to the country roads!!! We spent the evening having dinner with friends in Barrie. Thanks Taryl, Ken and Ella for your hospitality. We are staying at the Fairfield Inn – very nice place!! 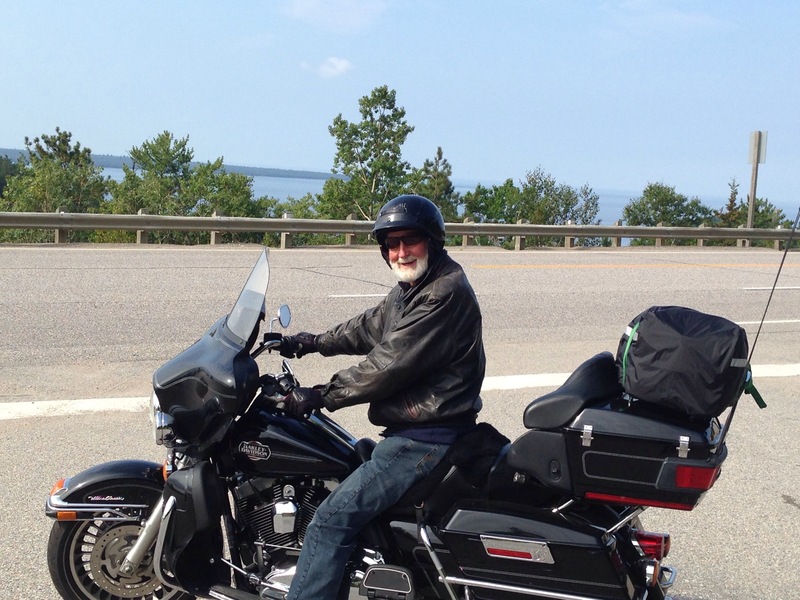 We decided to take hwy 17 – Mac may have been swayed to go this way because Ken told him about the new Harley shop in Sudbury!!!!! Another beautiful sunny and warmday. Big fluffy clouds in the sky – I could see a poodle, a rabbit,Santa Claus, lots of things!! I don’t have to watch the road – I can look all around! No pics today. It was a travel Day. Mac decided to go through Montreal. He said just another pavement!! Not my choice! Traffic was moving so slow. We went through the tunnel under the St Lawrence Seaway. It was hot and you could smell all the fumes. Was sure glad to get out of there!! 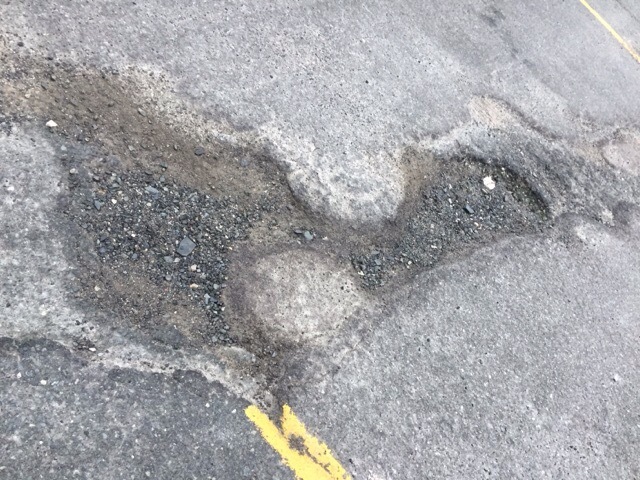 The road in Quebec was so bumpy and rough. Not nice!! We stopped for a quick bite just passed Montreal. We arrived in Ottawa. Checked into the Comfort Inn. 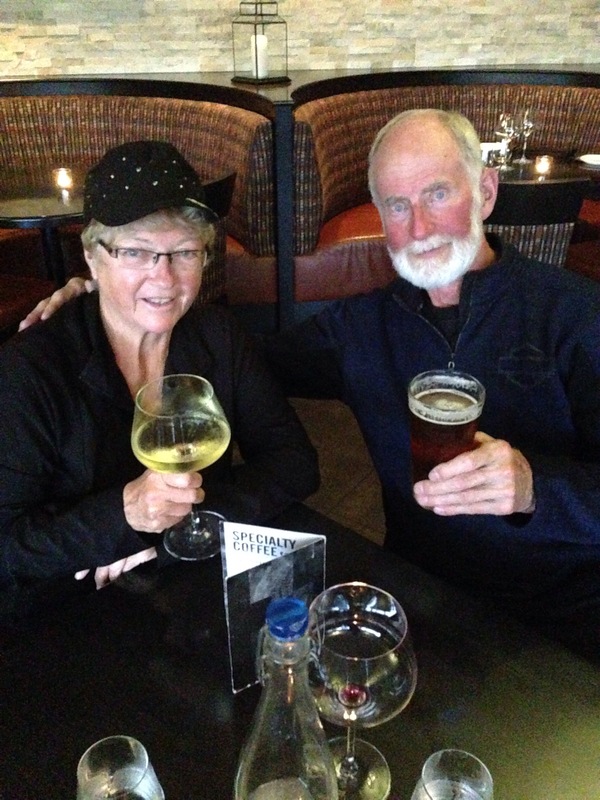 Went for dinner at Milestones. Had our favourite Bellini and chicken club! Very cool riding today. High of 15 maybe! We stopped twice 2 put on extra clothes!! 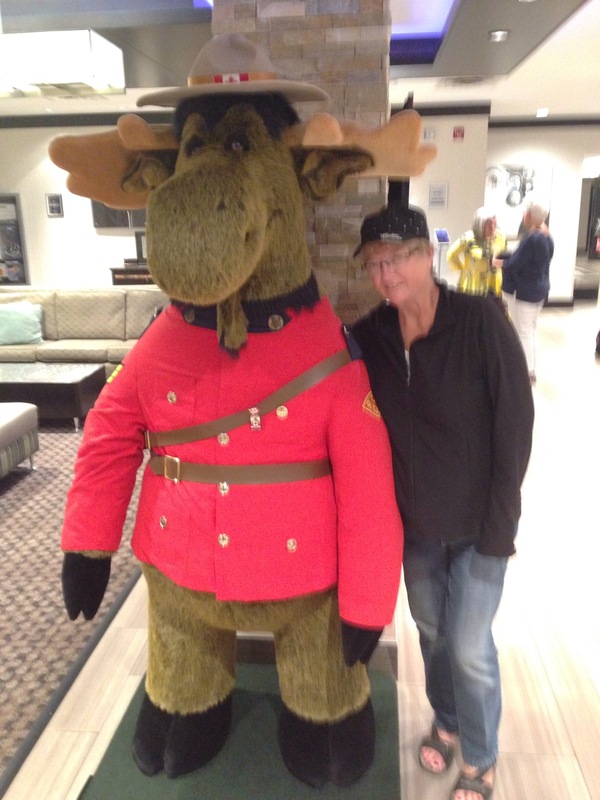 Countryside is just like home – trees, hills, moose!! We didn’t see any tho thankfully!!! At least they have fencing along the tree line. Wonder why we don’t have fencing in northwestern Ontario?? We stopped in Edmunsden NB for lunch. Had to have our final lobster roll!! Was so yummy!!! Tine change today also so finally back on our time! Rode for 7 hours today – made for a long day!! However it didn’t stop us from venturing to Old Quebec City for the evening! We stayed in Levis And took the ferry across! Picture of the St Lawrence with the mountains in the background. One side is farming and the other is mountain. Very beautiful!! You can see Old Quebec City – so beautiful! If you look in the last picture you can see the ride up to the next level. This picture is taken from there! Mac took it I wasn’t looking anywhere – it was all glass!!! View from Plains of Abraham. Plains of Abraham. Pic of me after climbing 335 steps on the promenade and back down again and then up here! I was done!! Walking around the streets. I wouldn’t want to drive here. Narrow streets and tons of hills! The best part was dinner!! So fun!! Menus are outside at every restaurant and there must be a million restaurants!!! We stopped to read this menu and the owner is outside trying to bring people in to his restaurant. He succeeded! Started the conversation with oh you’re a biker!! So of course Mac was engaged in the conversation. Then he said to Mac so nice of you to have a father daughter night out!! He was Macs type of guy – a joker!! In we went! You are packed in like sardines! Table after table!! A guy was playing the accordion and another was singing . Trust us to pick an Italian restaurant in a French City!! Lol!!! That guy did a great job of packing people in! 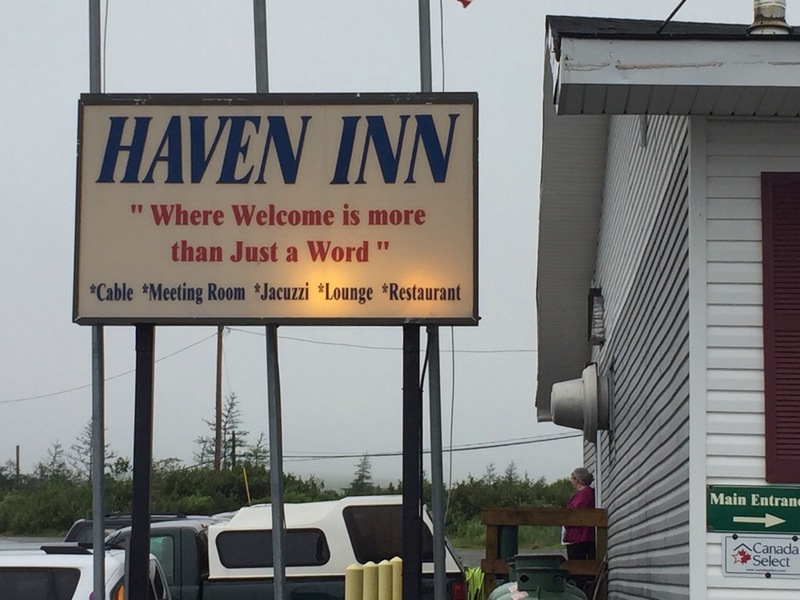 We had the all inclusive – soup, entree, dessert. Mac had beef tenderloin and I had veal. Strawberry shortcake for dessert! All amazing!! And of course a few glasses of wine!! The man from the door took our picture. He was 82! Like Mac didn’t look his age! He kept stopping by – he was fun!! Buskers were everywhere! We listened to this one for awhile. Sang and we all danced!! Another great day!! Another place we have to come back to! So amazing!!! We are so dead!!! Time for bed!! Another day of sun!! Beautiful today! We went back to a few spots we missed yesterday because of the fog. Second stop was Mavilette Beach. Tide was out so beach area was huge. Third stop was Smugglers Cove. You can see the cave where the rum runners hid their stuff!! We had to climb back up 103 stairs. We chatted with a couple of young fellows. The one asked if we were on the ferry to Newfoundland with the man playing music – we said yes. He said that’s my father!! Next stop was the information centre in Church Point. They had a museum of the Acadians. Very informative. We walked over to this beautiful church. The tallest wooden church in North America. Absolutely stunning!! A woman from the church pointed out a painting in the ceiling. First pic is what you are supposed to see and from another angle is what you see!! Crazy!! Up the road was another beautiful church. 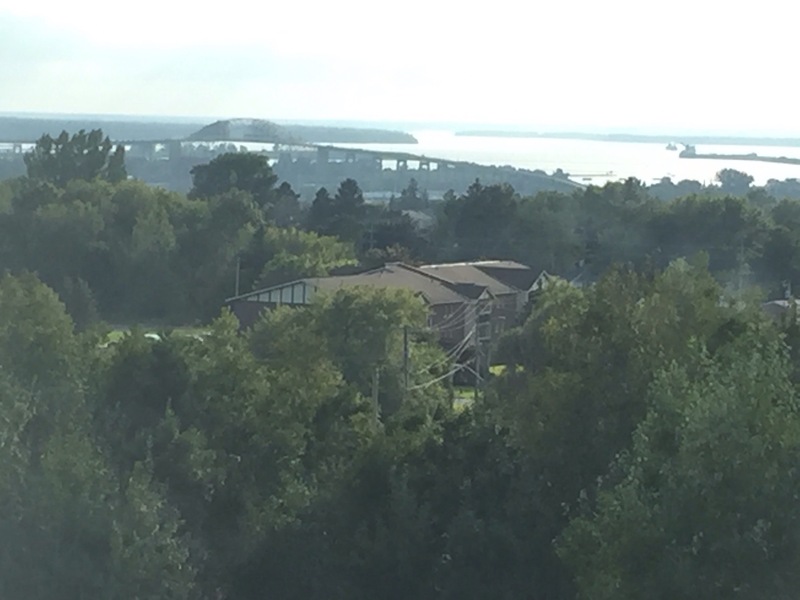 Picture of Digby Neck – part of the Appalachian Mountains. It took us 5 hours to drive 70 km. There was so much to see on the way. We finally arrived in Digby. Stopped at the information centre!! Surprise! Surprise!! So helpful. We took a walk on the boardwalk. What a beautiful place!! We had lunch at the Fundy Restaurant. Sat on the deck. Mac had fish burger and fries and I had fried scallops and fries. So good!!! We asked a young girl next to us to take a pic of us. She was with her grandma. It’s such a small world. When we were waiting for the ferry a couple got in line with their spiders – remember me explaining those Elaine??? We chatted. When we got on the ferry the couple was with this young girl and the grandma. It was their daughter and mother. Isn’t that the strangest thing!!! I couldn’t believe it!!! We had a 2 hour ferry ride to St John NB. Chatted with a few people. We couldn’t take any pics – both of our phones died!!! We headed to our hotel. The ferry company booked our room- good deal. We are in a Travelodge. We have another suite. No jacuzzi or fireplace but very nice and very reasonable!!! We headed to Sobeys to pick up something to eat. Sandwich, veggies and fruit!! Was yummy!! Well off to bed!! Long day even though we didn’t put many miles on!! Off to Levis Quebec tomorrow. A little drizzly this morning. We started off the day at Hank Snow’s Museum. Mac was in heaven!! We continued on to our favourite place – the information centre!! Got a few ideas for the day. Took a few pics of Liverpool and we were on our way . We travelled along the coast highway. Beaches along the way. 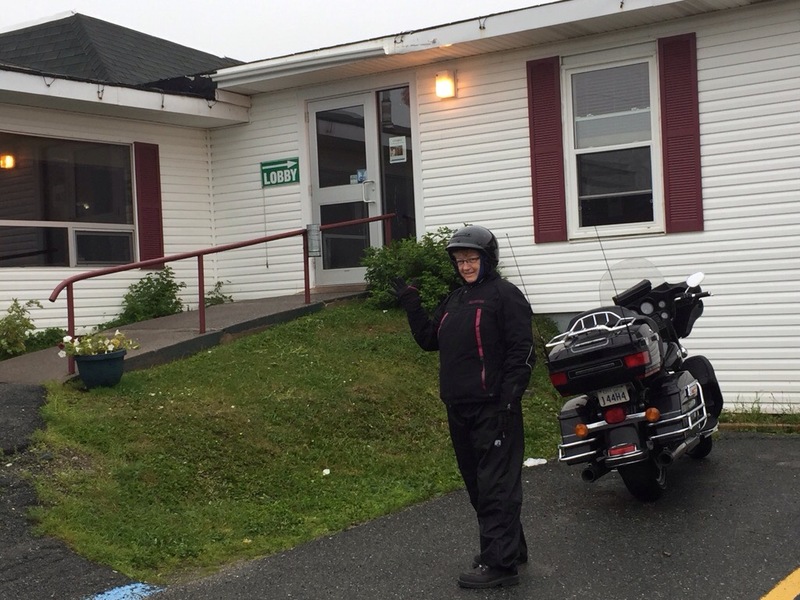 Started to rain more – not pour but was getting foggy so we went on the main highway to Yarmouth. We came to the first intersection in Yarmouth and didn’t know what direction to go! No signage. The only sign was highway 103 ends! We went to a gas station and a nice young lady told us where to go! We ended up on Main Street at the information centre!! Once again so helpful!! They suggested a coffee shop a few minutes away. A couple of redone shops. We continued on our way to Meteghan River. We were going to stop at a few places but the fog was so bad we just carried on. They aren’t far so will go back tomorrow. In front of our inn – now me trying to get out! More pics from in front and across the road . We went for dinner to Cuisine de Robicheau. The best dinner we had on this trip. Halibut topped with lobster and blueberry cheesecake for dessert!!! They had no liquor licence . You could bring your own. Of course we didn’t know that . A woman at another table overheard our conversation and brought us the remainder of their cab Sav . Now I don’t drink red wine but I did try it and it wasn’t bad!! The owner then brought us a bottle of white that another table was finished with! We did ok!! People are so nice here!! And the sunset from the patio. Had breakfast at the hotel. $4.99 for 2 eggs 2 sausage 2 bacon and toast. If you wanted hash browns an additional .50. Pretty good!!! Guess what today was??? Laundry day!! I think after today we can make it home before we run out of clothes!! Today was also a trip to the Harley shop so the bike could get serviced. We were told to go for 2 pm and would probably have to wait. We left there around 4 pm. Not too bad!!! Talked to a few bikers. A couple from Montreal and a couple from Digby. We had dinner at The Bicycle Thief. Mac had halibut and I had salmon. They were both very delicious!!! We headed back to the hotel and sat outside. Enjoyed a few glasses of wine!! Heading to Peggy’s Cove and Lunenburg tomorrow!! !